Vincent G. Zambelli, 69, of Walnutport, passed away December 12, 2018. He was the loving husband of 33 years to Crystal (Jones) Zambelli. Born in Bethlehem, he was the son of the late Gilbert and Julia (Magniarini) Zambelli. Vincent worked for Bethlehem Steel and then as 5th grade teacher for St. Anne’s Catholic School in Emmaus and retired from St. Anne’s Catholic School in Bethlehem. He was a member of St. Nicholas Catholic Church. Survivors: wife- Crystal Zambelli; son- Rev. Jared Zambelli; brothers- Ralph and his wife Lynette Zambelli, Gerard and his wife Rita Zambelli. He was predeceased by his brother- Thomas Zambelli. A viewing will be held on Monday, December 17th 10-11AM with Mass of Christian Burial to be celebrated at 11AM in St. Nicholas Catholic Church 4412 Mountain View Drive Walnutport, PA 18088. Burial to follow in Odd Fellows Cemetery in Tamaqua. Arrangements entrusted to Downing Funeral Home, Inc.
Jeanette C. (Kalman) Zareczky, 88, of Bethlehem, passed away September 30, 2018. She was the loving wife of the late Joseph J. Zareczky. Born in Bethlehem, she was the daughter of the late Alex and Mary (Szerki) Kalman. She graduated from Liberty High School in 1948. Jeanette worked previously as a seamstress for Laros Textile Co. and then stayed at home to take care of her family. She was a member of Notre Dame of Bethlehem Catholic Church. Jeanette was an avid reader and enjoyed painting, sewing, arts & crafts, baking, cooking and loved all animals. Survivors: son, David R. Zareczky of Bethlehem and the mother of his children, Diane Zareczky; Daughter, Jane A. Elmouderrib and husband Jean Pierre of Bethlehem. Grandchildren, David, Jr., Daniel, Shelby, Cody and Laila, Great-grandchildren, Peyton, Gage, Madilynn and Michael; also two Nieces, Karen and Terry; Daughter-in-Law, Michele Zareczky wife of the late son, Michael. Services: A viewing will be held Saturday, October 6th 9-9:30AM with Mass of Christian Burial to be celebrated at 9:30AM in Notre Dame of Bethlehem Catholic Church 1861 Catasauqua Rd Bethlehem. Burial to follow in Holy Saviour Cemetery, Bethlehem. Contributions can be made in Jeanette’s memory to the church or to the St. Francis Center for Renewal care of Downing Funeral Home, Inc., Bethlehem. Kathleen M. (Simmons) Zelko, 89, of Bethlehem, passed away October 19, 2017 surrounded by her loving family. She was the devoted wife of the late Ferdinand Zelko for 50 years. Born in Bethlehem, she was the daughter of the late Wallace and Catherine (Tierney) Simmons. Kathy worked previously for Bethlehem Steel in the billing dept. She was a member of Saints Simon and Jude Catholic Church. Kathy’s family was her life and she was very proud of them. She enjoyed reading the newspaper, doing daily crypto quotes, watching “Uncle Jeffrey” on CWTAP and spending an afternoon at the casino. Survivors: daughter- Kathleen Lund and husband William; sons- Robert and his wife Lynn and Dean; 5 granddaughters- Rebecca and husband Lou Strybuc, Julie and Luke Molchany, Kasey and husband Jeremy Walker, Jennifer and Kelsey Lund; great grandchildren- Brock and Maxwell Molchany, Rachel and Lucian Strybuc V; many nieces and nephews. She was predeceased by her brothers- John, James and Joseph. A viewing will be held Wednesday 6-8PM in Downing Funeral Home, Inc. 1002 W. Broad St. Bethlehem, PA 18018. A viewing will be held in church on Thursday 9-10AM with Mass of Christian Burial to follow at 10AM all in Saints Simon and Jude Catholic Church 730 W. Broad St. Bethlehem, PA 18018. Burial to follow in Holy Saviour Cemetery. Christopher M. Zweifel, 66, formerly of Allentown, passed away February 11, 2017. He was the loving husband of 19 ½ years to Anne (Meerkatz) Zweifel. Born in Lancaster, he was the son of the late Kenneth and Mary (Sinnott) Zweifel. Christopher served in the U.S. Navy during the Vietnam War. He was of the Catholic faith. Survivors: Wife- Anne Zweifel; Children- Michelle Wood and Christopher Michael Keeler. A graveside service will be held on Thursday, February 23rd at 1PM in Holy Saviour Cemetery 2575 Linden St. Bethlehem. Arrangements entrusted to Downing Funeral Home, Inc.
Julia K. (Magniarini) Zambelli, 87, of Bethlehem, passed away February 14, 2016. She was the loving wife of the late Gilbert G. Zambelli. Born in Bethlehem, Julia was the daughter of the late Rafael and Ersilia Magniarini. She worked for many years as an accomplished seamstress at Forte Neckwear before her retirement. She was an avid reader, talented artist and loved the beach. Julia was a member of the former Our Lady of Pompeii Catholic Church and currently Incarnation of Our Lord Catholic Church in Bethlehem. sons, Vincent G. and wife Crystal of Walnutport, Ralph G. and wife Lynette, and Gerard G. and wife Rita, all of Allentown; nine grandchildren, seven great-grandchildren; sisters- Clara Henninger of Allentown. She was predeceased by her son- Thomas G. Zambelli, brother- Albert Magniarini and sister- Josephine Gentile. A viewing will be held on Thursday 6-8PM in Downing Funeral Home, Inc. 1002 W. Broad St Bethlehem, PA 18018. Mass of Christian Burial to be celebrated Friday at 11:30AM in Incarnation of Our Lord Catholic Church 617 Pierce St. Bethlehem 18015 with burial to follow in Holy Saviour Cemetery. In lieu of flowers, donations can be made in Julia’s memory to the Parkinsons Disease Research Foundation, 1359 Broadway, Suite 1509, New York, NY 10018. Catherine A. Zboyovsky, age 90, of Bethlehem, Pennsylvania, passed away on Friday morning, June 19, 2015 at Holy Family Manor. 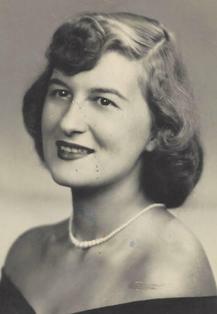 Born in Bethlehem, she was the daughter of the late, James Frances and Elizabeth Meschan Zboyovsky and sister of the late James F. Zboyovsky, Jr. Catherine graduated from Bethlehem Catholic High School. She worked for many years as a secretary, retiring from Bethlehem City Hall as Executive Secretary to the Director of Public Works. She leaves behind a sister-in-law, Lillian P. Zboyovsky, of Fernandina Beach, Florida, two nieces, Diane Z. Hobbs (Gibson), of Lynchburg, Virginia, Karen Z. Hanna (Antoine), of Savannah, Georgia, a great-nephew, T. Gibson Hobbs, IV, three great-nieces, Ashley Hanna, Sarah Hanna and Jordan Hanna, and a host of caring friends and neighbors. The family would like to express their heartfelt appreciation to the nursing and care giving staff on 1st floor McShea Pavilion for their love, compassion and care for Catherine. A graveside service will be on Tuesday, June 23, 2015 at Holy Savior Cemetery, Bethlehem, at 10:00am. In lieu of flowers, memorial contributions may be made to Holy Family Manor, 1200 Spring St, Bethlehem, PA 18018, or a charity of your choice. Mary Zamadics, 90, of Bethlehem died May 31, 2015. Her deceased husband Steve was a steelworker. Mary was a seamstress. Surviving are 2 children, Stephanie Guldner of Allentown and Robert of Louisiana, and a brother- Dennis Ridgick of Bethlehem. 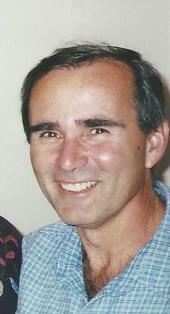 Joseph J. Zareczky, 83, of Bethlehem passed away Thursday, July 31, 2014 in St. Luke’s University Hospital, Fountain Hill. He was born in Fountain Hill to Joseph J. and Elizabeth (Majores) Zareczky. He and his wife the former Jeanette Kalman, shared 59 years together this past June 25th. He and his wife were members of Notre Dame Catholic Church. He graduated from Moravian College with a Bachelor of Science Degree in Accounting and obtained his MBA from Lehigh University in 1961. He was currently employed as a Controller for WGPA Sunny 1100 with the Jolly Joe Timmer Show. Joseph served in the U.S. Airforce and the U.S. Navy Reserves. In his early years, he enjoyed golfing and going to the beach. He was an avid reader and enjoyed spending time with the family dog, Diesel. SURVIVORS:	In addition to his loving wife, Jeanette, he is survived by a son David R. Zareczky of Bethlehem and the mother of his children, Diane Zareczky; Daughter, Jane A. Elmouderrib and husband Jean Pierre of Bethlehem, brother; Richard Zareczky and his wife Anna of Northampton. Grandchildren, David, Jr., Daniel, Shelby, Cody and Laila, Great granddaughter, Peyton; also two Nieces, Karen and Terry; Daughter in Law, Michele Zareczky wife of the late son, Michael. SERVICES: A viewing will be held on Tuesday, August 5, 2014 from 10-11am at Notre Dame of Bethlehem Catholic Church, 1861 Catasauqua Road, Bethlehem followed by a Mass of Christian Burial. Interment to follow in Holy Saviour Cemetery, Bethlehem. 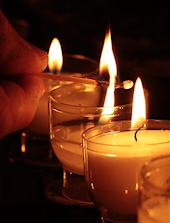 In lieu of flowers, donations can be made to Notre Dame of Bethlehem Catholic Church or School or to Bethlehem Catholic High School care of Downing Funeral Home, Inc.